Twitter Lists are rolling out today (although the feature is not quite turned on for everyone yet). The new feature lets users make lists of interesting people on Twitter, grouped together so that they are easy to follow. But how do you find the best lists? 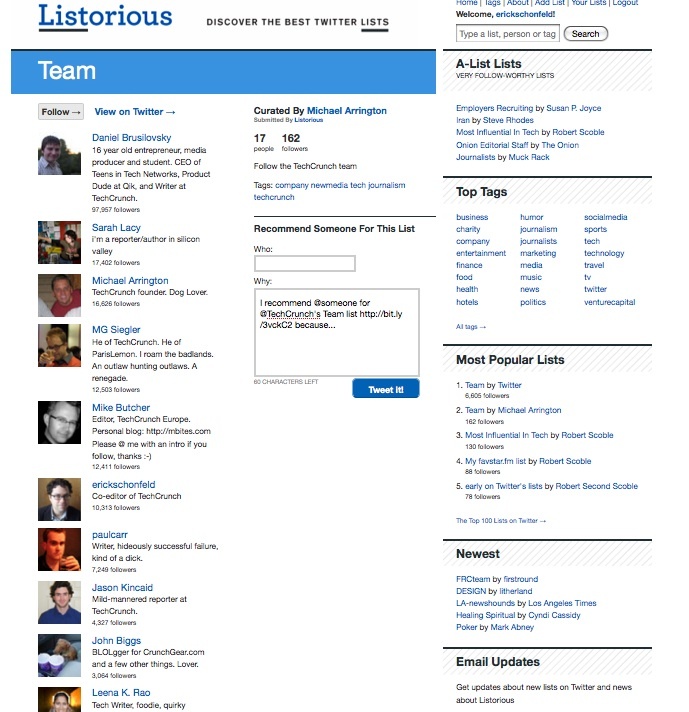 Already, there is an independent directory service which is launching in tandem with Twitter Lists called Listorious. (Warning: it only fully works for people who have Twitter Lists enabled). Listorious offers a curated collection of lists across various categories such as media, humor, marketing, finance, and food. 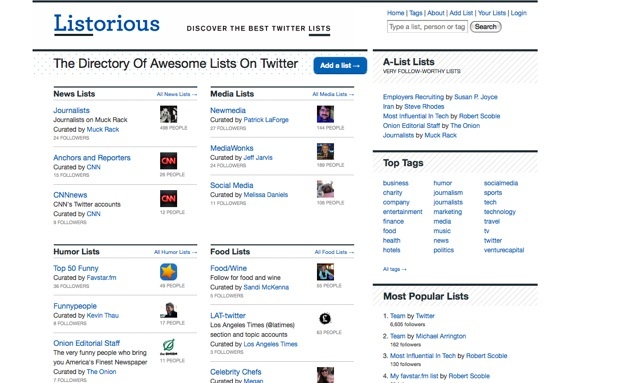 You can see the most popular lists, ranked by how many people follow them. It is also possible to search by tags, or just search lists in general. So what are some lists you might want to check out? There’s Robert Scoble’s Most Influential In Tech list and another overlapping Tech Pundits list. I like this list of Venture Capitalists on Twitter. And of course, don’t miss out on following the entire TechCrunch Team with one click. Listorious was developed by Gregory Galant, who is the man behind the Shorty Awards, which goes out to the “best producers of short content.” It is part of his company, Sawhorse Media.